Neowave is a pretty middle of the road KOF entry. I mean, it's got a fairly interesting roster and all. But I don't know. It's just kind of good, not great. Also the music is pretty meh and the loading times are horrendous for some reason. Wrong. I mean, Kirby's Dream Land (HAL Labs & Nintendo, 1992) is indeed short and easy, but those are positive attributes rather than detriments. Kirby was released at the tail end of an era where platformers were essentially synonymous with "difficult." Castlevania had clunky controls and the Death & Dracula double feature. Ninja Gaiden was rife with pitfalls and ornithological terrors. Even Super Mario Bros., the genre-defining game itself, was undeniably unforgiving. And then here comes Kirby on Game Boy, sucking and blowing in all his effervescent glory. What a cool game. The eponymous Kirby is an unusual protagonist: essentially a pink (white on the box art) happy-go-lucky vaguely-defined puffy thing. His home, Dream Land, has been ravaged by King Dedede (some sort of chunky pseudo-penguin) and all the food has been stolen. Perhaps that's why Kirby is so set on eating everything in sight. Not one to hop on foes or utilize a firearm, the voracious blob instead inhales enemies, which can then subsequently be swallowed for total elimination, or spit back out as star-shaped projectiles. Kirby also has airborne capabilities, as a push of the up button causes him to puff up even further and begin floating. Not only can he fly indefinitely, but he's also able to generate his own projectiles in this state, by spitting forth his inhaled air. Ultimately, Kirby is significantly overpowered when compared to any enemy faced along his journey. There's an impressive array of bosses and minibosses - with modified versions of Lolo and Lala making a humorous surprise appearance - though all go down without much of a fight. 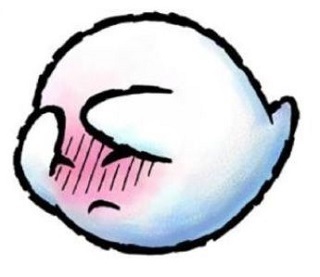 Dream Land itself is comprised of only a handful of levels, and can be cleared in well under an hour. Stages themselves are surprisingly nonlinear, with plenty of passages and doorways (some hidden). That said, all roads still lead home and there's no conceivable way for Kirby to get lost along the way, nor is there a time limit. Everything in the game is intentionally and painfully cute. There's no urgency to the level design: these are inviting, soothing areas where one can linger for awhile. 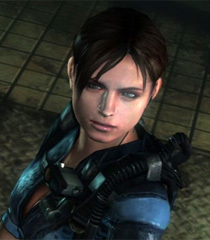 Enemies look as nonthreatening as they behave. Just a long parade of adorable bouncing creatures (real and imagined). The graphics are rather impressive. Kirby was released a few months before the exemplary Super Mario Land 2: 6 Golden Coins and both titles share a similar aesthetic. Big chunky sprites, plenty of open "white" space, and detailed backgrounds that eschew clutter and make excellent use of the original Game Boy's limited color palette. It's one of those games that makes me forget the Super Game Boy even exists -- there's simply no reason to play this in color. With only five stages, each one manages to stand out as distinct from the rest, and all open with a quaint "cutscene" that introduces the environment. 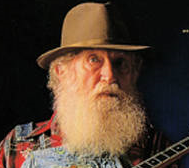 The accompanying soundtrack is also excellent. It's almost comically upbeat and peppy, with the first appearance of the tune "Green Greens" being a certain crowd-pleaser. I have little more to say about this one. 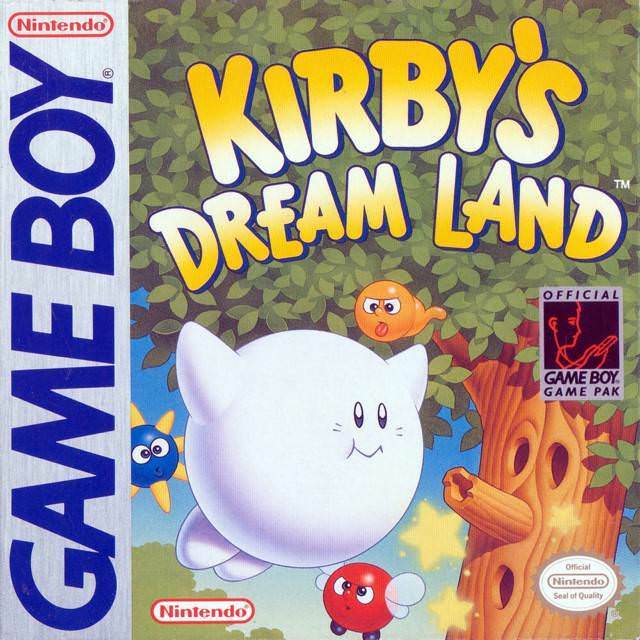 Not because it's boring or blasé, but because Kirby's Dream Land possesses a sweet and sentimental charm that's best experienced rather than received second-hand. For those itching for more challenge, there is a hard mode, unlocked via a code received at the game's end. And while newer Kirby games showcase some enhanced controls, abilities, and allies, this one keeps it straightforward and simple, and for that I adore it. The credits refer to the programmer as one "Sunday Rain" (in actuality Satoru Iwata, or so I've heard) and it's a fitting moniker. When looking to relax and embrace some escapism on a warm, rainy Sunday afternoon there's nothing better than this pink (or white) puffball. Man, Vixen 357 feels really lightweight compared to MoM. This being basically a mix of Civ 1 and a proto-HoMM, there's a lot of customization you can do and a bunch of different systems to keep track of as you explore and conquer the game world. Coming from the perspective of playing HoMM 2-3 before it I think I would've enjoyed this more if the pacing was faster, the difficulty was less random and there was some sort of campaign mode with persistent elements from one scenario to the next. The game is also kinda buggy, I mean diplomacy is a complete mess. I beat intro/default and easy without major problems, but playing on normal with the 1.50 patch/mod was a pretty tedious experience even with an OP build. Thanks. Yeah I remember seeing the news on RHDN, but I'm skeptical about earlier TBS games as they tend to be too basic, have poor interfaces and/or poor balance. Warsong is about as far back as I can go if I wanna finish the game. Both new additions are great. Really enjoyed the art style of Wonder Boy. Maybe one of the most visually appealing games I've played in quite some time. This was my first Wonder Boy ever and I really liked the way the game opened up with each transformation. Just a solid game all the way around. But I have to say that I really enjoyed everything about SteamWorld Dig. The world, the characters, and the gameplay was all pretty awesome. I had played a little bit of it before on Wii U, but it just seems like it was made for the Switch as I played it in handheld mode the whole time. I'm waiting for the physical release of SteamWorld Dig 2, but I'm pretty stoked to play it. My highest recommendation for this one. PresidentLeever wrote: Thanks. Yeah I remember seeing the news on RHDN, but I'm skeptical about earlier TBS games as they tend to be too basic, have poor interfaces and/or poor balance. Warsong is about as far back as I can go if I wanna finish the game. I had to dig around a little for this post of mine from when I tried out Vixen: https://www.racketboy.com/forum/viewtopic.php?f=44&t=38795&p=1049285&hilit=vixen#p1049285. The important part is that according to the random Japanese blogger I found talking about Vixen and Hisou Kihei X-Serd, the former is as toilet paper, and the latter is the greatest strategy game of all time. I didn't play enough of Vixen to formulate a lot of opinions that weren't, admittedly, a little bit surface; I didn't enjoy it, though, and was plenty willing to believe that X-Serd is much better. I beat James Bond 007: Agent Under Fire on the Nintendo GameCube this evening! My enjoyment of first person shooters dates back to GoldenEye on the N64. Even though I was never a big fan of the James Bond franchise, GoldenEye left a huge mark on my teen years and one that holds a special place in my heart. With that in mind, I always associate FPS games with the James Bond name and I've always been curious about them. I enjoyed the offshoot game, Rogue Agent, last year, so it was time to try a real James Bond game. They stopped making them for a while, so Agent Under Fire is a completely new experience from the ground up. Agent Under Fire is a love letter to old Bond games and old FPS games in general. Everything that you have come used to in FPS games thanks to Halo, dual stick control, frequent checkpoints, regenerating health, is gone and completely stripped away. You move and shoot with one analog stick as the other one acts more like the C-Buttons in GoldenEye. You only have three lives to finish the level with maybe only one checkpoint in them. Heck, even the multiplayer has Bots. The nostalgic trip is so much fun that it feels nice to step back in time for just a moment. It's not something I'd do forever, but it's nice to remember the good old days of FPS games. Also, the game loves to mix it up a bit. Almost a quarter of the game is either on rails, driving a car or handling turret which is an absolutely blast and makes the game fly by. Though, the game is not long at all. In reality, you could beat it in a day long sitting. Though the controls feel nice and nostalgic, there are certain spots where they feel incredibly clunky. Also, the switching between guns and gadgets never felt quite right especially during an intense gun fight. Also, enemies taking a surprisingly amount of bullets and the game can be quite linear. Though, the most disappoint aspect is that the story is kind of cheesy. They had the freedom to do anything and they chose a plot done a hundred times before. In the end, James Bond 007: Agent Under Fire is a love letter to many things that make Bond great. He is suave with one liners, women fall all over him and he shoots many bad guys. It's also a love letter to great old Bond games. It has everything that made GoldenEye great along with the flaws that modern FPS games are spotlighting. If you want an old school throwback and a short rush, it's not a bad choice. Mkay, well "supposedly really good" isn't much to go on but I might check it out at some point. I can admit to being a bit generous to Vixen 357 since I like mech themed games, the MD/GEN and this format of TBS/SRPG. I'm guessing the average JP player will have a bias against the MD. To address your criticism, you can skip any battle scene and you can also turn them off completely. But as I describe in my review there are some quirks around this, so I'd recommend just emulating and using fast forward during the enemy turn. The game gets more interesting a few missions in with different mech types, mechs gaining new gear and surprise events during missions. The allied AI is indeed pretty bad, you can think of it as a meatshield (it will have strength in numbers in later missions though and it's easier to keep up with it thanks to the fast transport ship). Enemy AI is generally predictable in going after your transports or "mission fail if died" characters. The most tactically interesting mission may be the 10th one IIRC, don't want to spoil it though. The most interesting part of gameplay is customization through making pilots switch mechs mid-battle, the relative flexibility of the fast transport and managing health by boarding mechs onto your main transport ship; for example if you have two pilots in the main ship and two in the field you can attack with the latter then take the fast transport back to the main ship, making two new pilots hop into the mech+fast transport and then attack again in the same turn. Most of the mechs are also specialized in use and you need to consider which pilot will bring out the best in it given their stats. I wouldn't say the story between missions is nonsense, but it is rather sparse and often doesn't go into why a strategic decision is made or what certain organizations are, nor does it let you make any decisions affecting the outcome. The character dialogue during missions is fairly entertaining though and there's a twist you might not see coming. Layton’s Mystery Journey is the latest game in the long-running series for 3DS. In actuality, it originally came out on iOS, so this is actually a port rather than an entirely new entry. As a long-time fan of the series, I was super excited to have another game to play, but the iOS origins have meant that there are some changes to the format, and whether those are for the better is a matter of opinion. 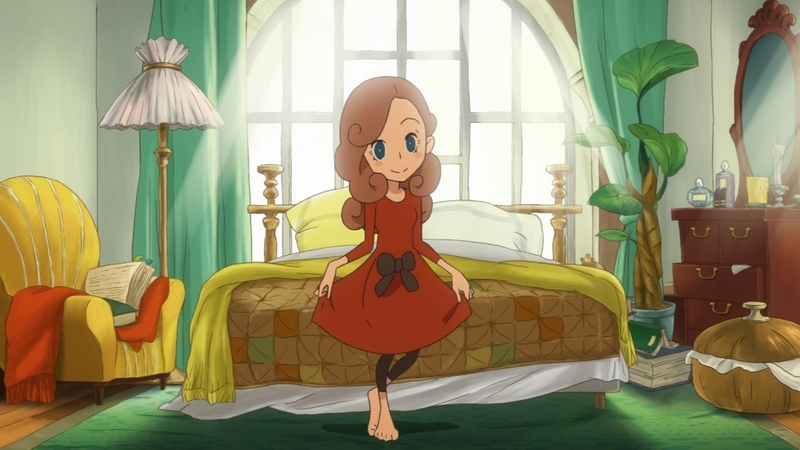 Layton’s Mystery Journey stars Katrielle Layton, daughter of the eponymous Professor Layton, the main character of the series. She has just started up her own detective agencyin London alongside her assistant Earnest when her first client appears – a talking dog. 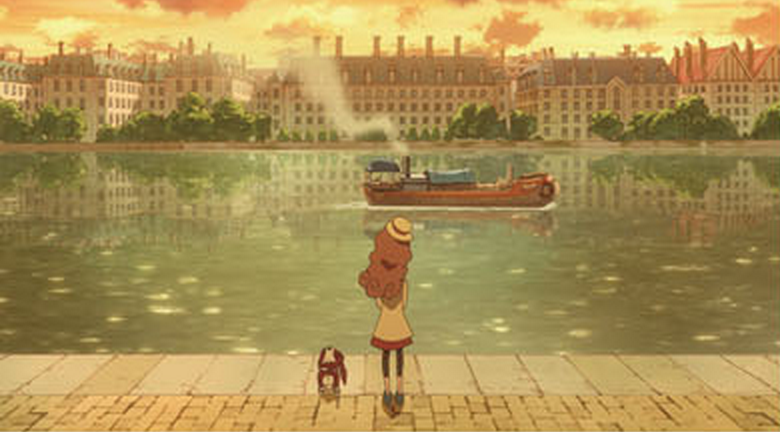 The game is divided up into 12 chapters, each of which require you to solve puzzles in the classic Layton way whilst finding ‘clues’ to solve the mystery. Unfortunately, the actual solving of the mystery is automatic – once all the clues are found, Katrielle solves it herself, and it’s a little unsatisfying. The payoff is let down even further because the actual solution to the mystery is clearly discernable for most cases way before the end of the game. Also a little weak are the puzzles themselves – they’re easier than previous games in the series, and there more of them that you can’t get ‘wrong’ – you can just keep playing around until you stumble across the solution. The 12 stories mostly revolve the Millionaires referred to by the title. Obviously we know something is up by the games title, but actually the conspiracy of note doesn’t even appear until the final chapter of the game – previous Layton titles built the mystery up throughout, but unfortunately here most cases are entirely unrelated to the others. The game does have some satisfying moments though – a late game murder case is surprisingly dark for the series, and the final chapter of the game seems to take more than a few cues from Spike Chunsoft’s Zero Escape series – albeit less grisly. The final twist of the game is thankfully on a par with previous Layton titles, and although it was clued in a bit heavily right before the big reveal, it still caught me by surprise when I caught on, even if it was before the game announced it. Mild spoilers though - the game however does end with many mysteries unsolved, suggesting a sequel is in the works. Layton’s Mystery Journey is by far the weakest of the traditional Layton games, but it’s still an enjoyable little romp in it’s own right. It’s worth a shot for fans of the series, but if you’re new to the franchise, start from the beginning for the best experience. This is a new feature I’m going to start including in my reviews. Click the image below to listen to one of my favourite tracks from the game!